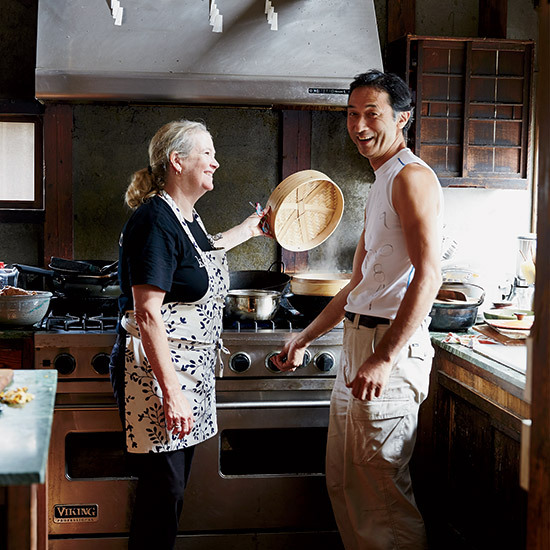 California-born cookbook author Nancy Singleton Hachisu found love with a Japanese farmer. Here, a glimpse into the couple's rural, farm-to-table life. 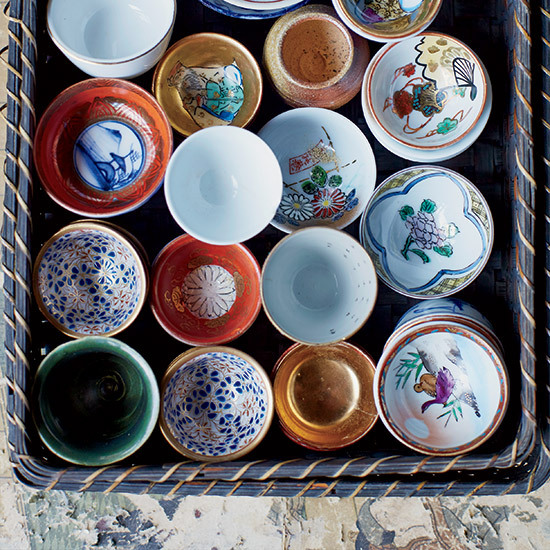 Nancy Singelton Hachisu's colorful collection of sake cups is as beautiful as it is functional. 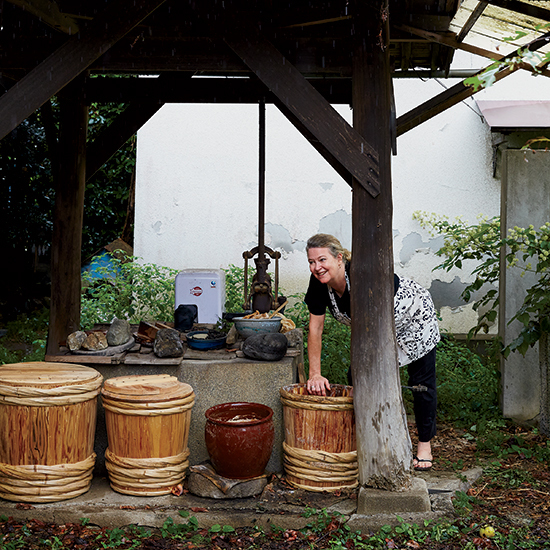 Nancy tends to the fermentation and pickling pots she keeps by her well. 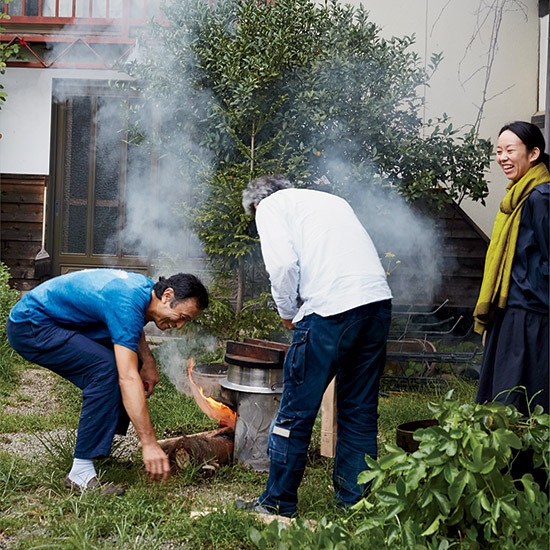 "I found love in a form of a Japanese farmer," Nancy says of her husband, Tadaaki. 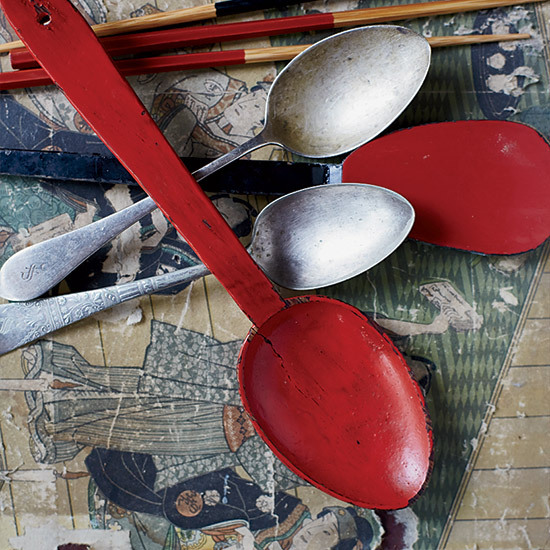 The Hachisus' rustic tableware includes lacquered spoons and colorful chopsticks. 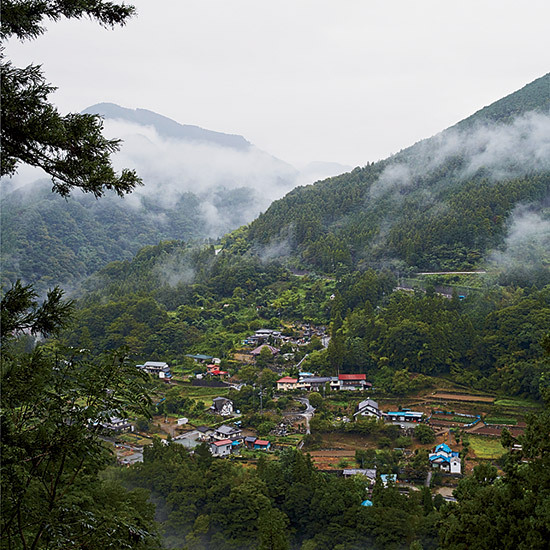 Clouds roll through the town of Kamikawa, where the Hachisus live. 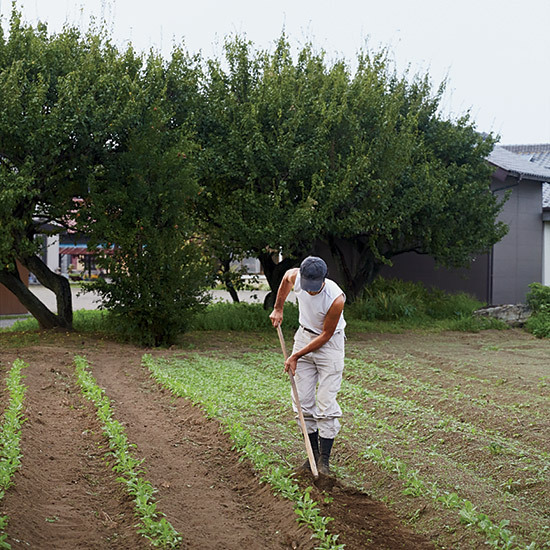 Tadaaki weeds the daikon field. 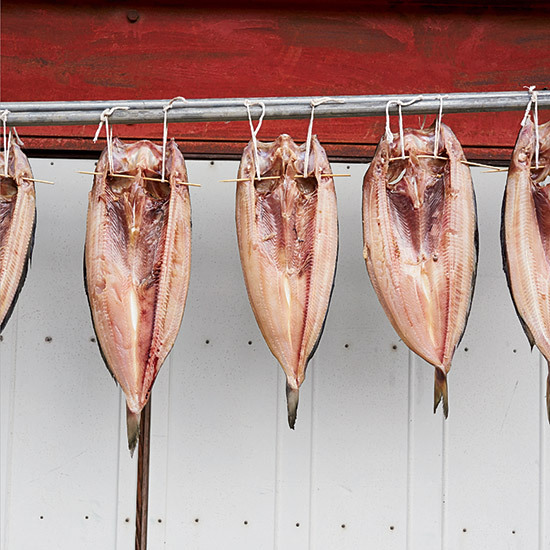 Nancy air-dries whole barracuda, a flaky, white-fleshed fish. 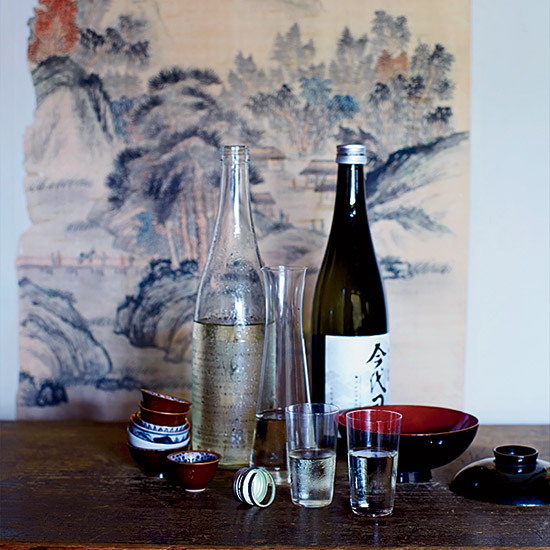 Sake, Japan's fermented rice beverage, often graces the Hachisus' table. 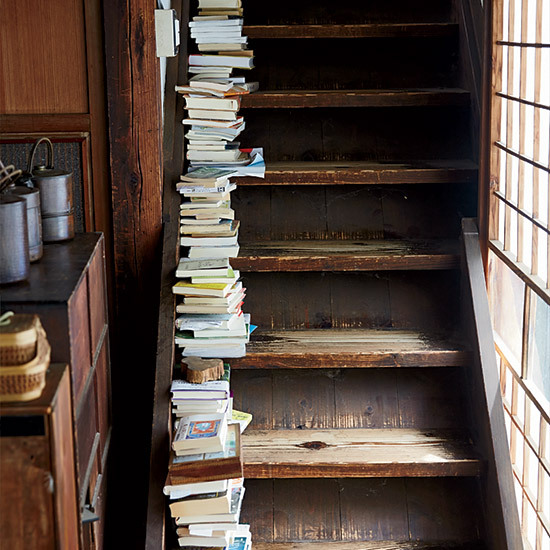 The Hachisus' wooden staircase does double duty as a bookcase. 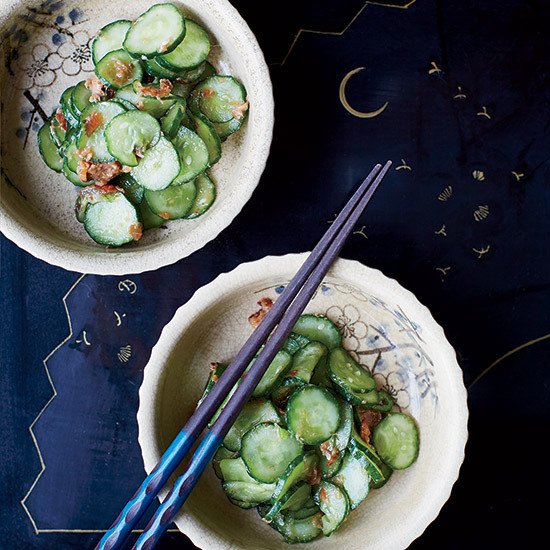 "A trip to the fields yields juicy cucumbers and other vegetables that almost cook themselves," Nancy says. 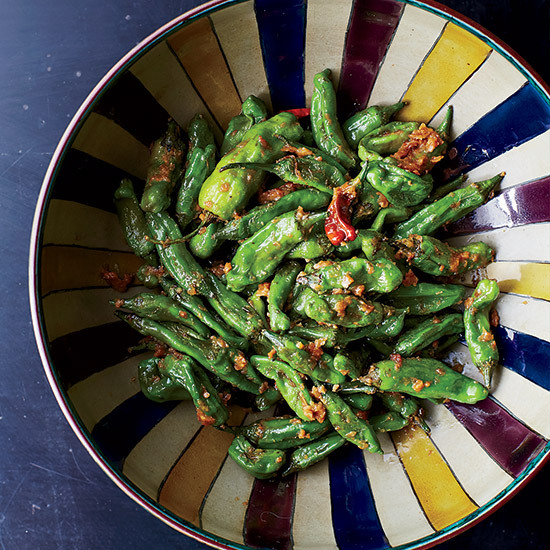 Finger-long and typically mild (one in 10 is spicy), shishito peppers are sautéed, simmered, grilled and eaten raw all over Japan in the summer. 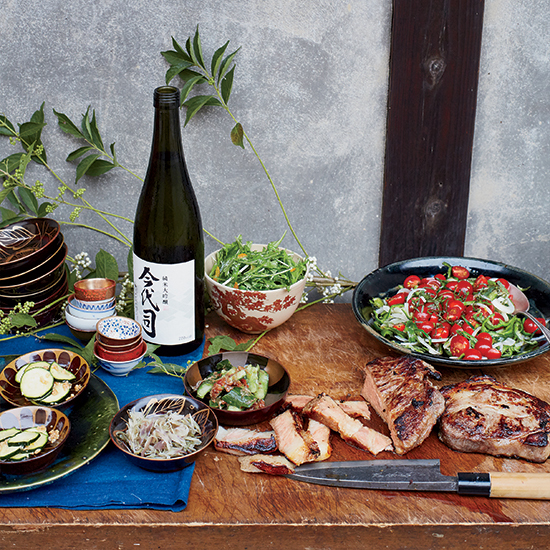 This charred version from Tadaaki Hachisu gets a salty, earthy, spicy hit from brown rice miso and fresh ginger. 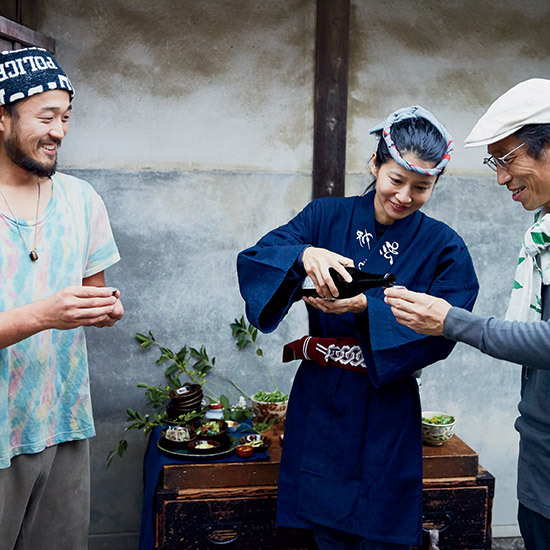 Tadaaki cooks rice with friends. 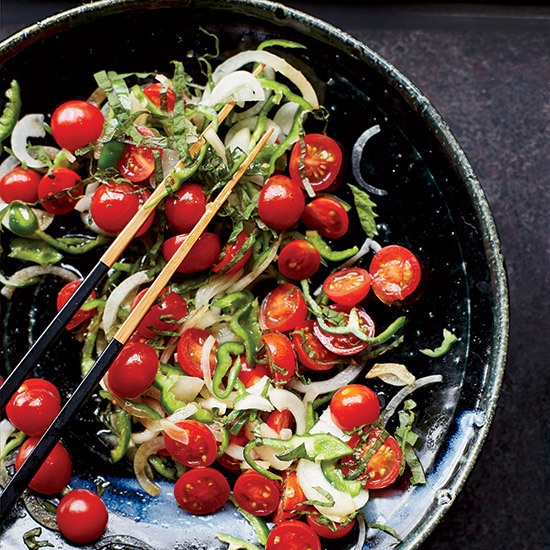 For a salad to go with thick-cut pork shoulder, Nancy tosses onion, cherry tomatoes and green pepper with soy sauce. Although this blend of raw tomatoes, paper-thin onion and mild green peppers seems Italian, it’s a common mix for Japanese farm families. Instead of the usual squirt of mayonnaise, Nancy Singleton Hachisu drizzles on an Asian vinaigrette. 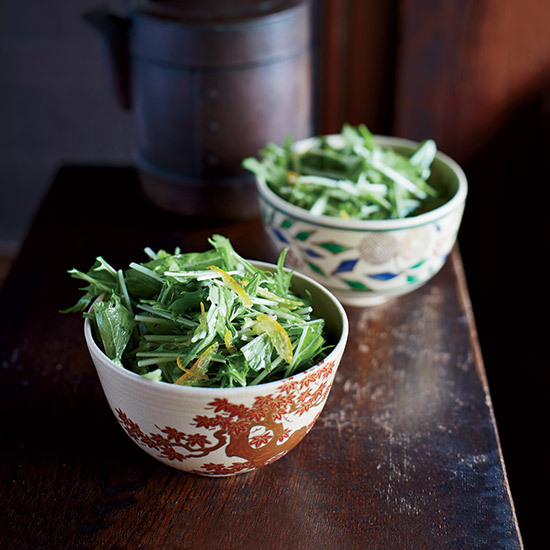 In this refreshing modern Japanese salad, spicy mizuna greens are brightened with aromatic sliced kumquats and yuzu juice. Zucchini is relatively new to Japan, but Japanese farmers have started growing them alongside native chayote, bitter melons and other vine vegetables. 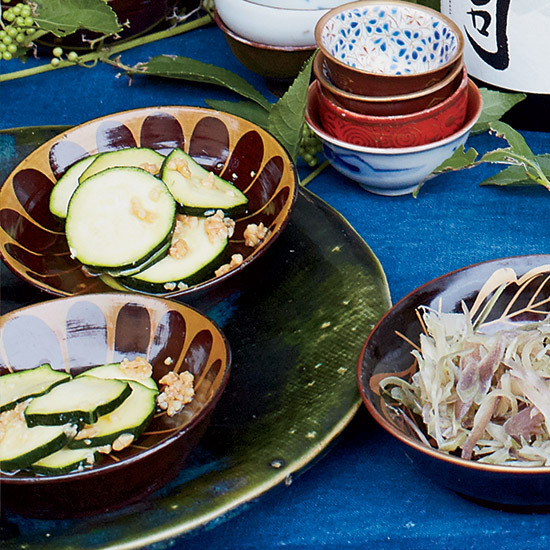 Nancy slices the summer squash and tosses it with umami-packed shoyu koji, a sweet-salty condiment made with soy sauce and rice, to make a zingy quick pickle. "I soon learned some of the family rules: The house must be wiped clean once a day; the fields must be kept weed-free; and someone should always be at home to accept drop-in visitors," Nancy says. 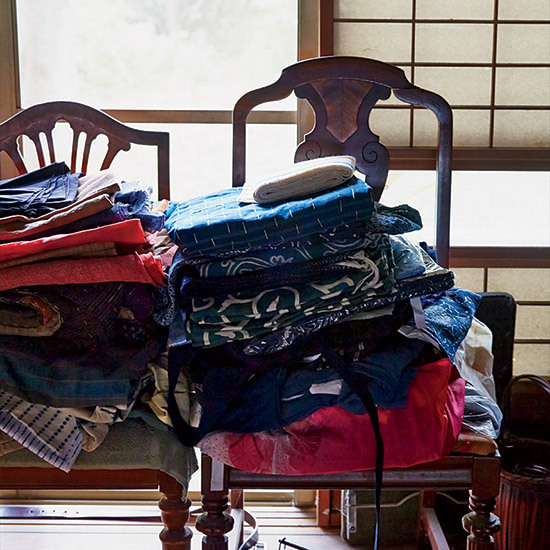 Stacks of colorful table linens find a temporary home on the Hachisus' antique wooden chairs. 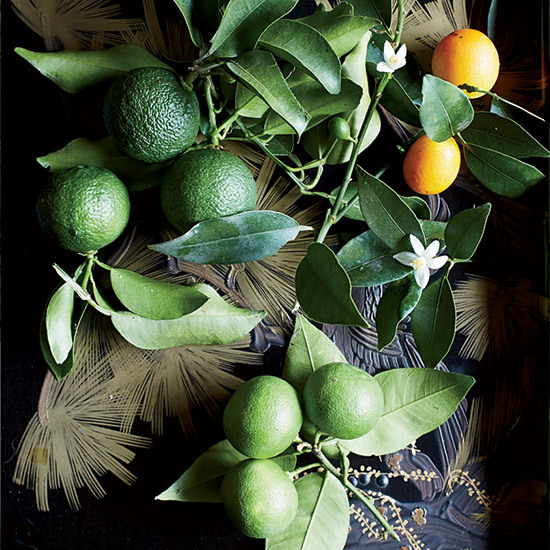 Colorful citrus fruits in various stages of ripeness at the Hachisu farmstead. 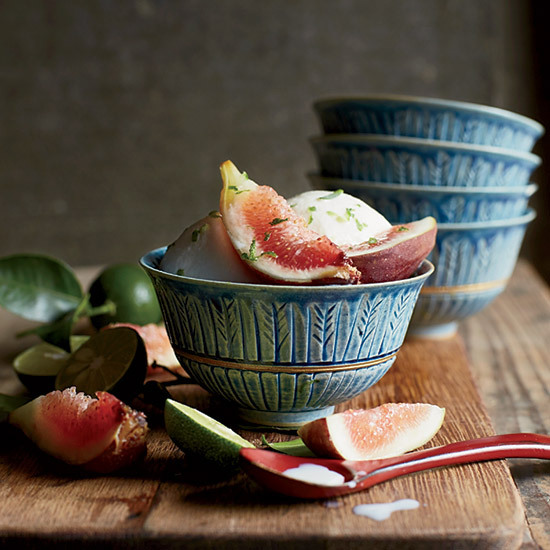 Fresh figs pair with cool ice cream for a natural, not-too-sweet dessert.